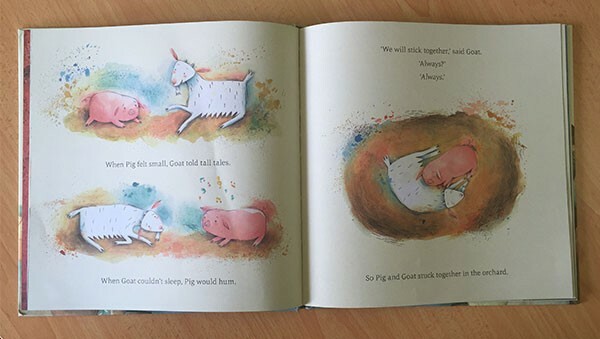 Edwina Wyatt is fast becoming a favourite in our house thanks to her heart warming stories paired with stunning illustrations. In this tale, two good friends find that their promise to be ‘together always’ might not work out as they planned. Friendship is so important to children – bonds are made quickly, and strongly, without much concern for the realities of longevity. In Together Always we meet two young friends who make a pact to be together always. And that’s great as long as they are wanting to do the same things, in the same places, all the time. Last year I fell in love with another of Edwina’s books, In the Evening, and I knew I just had to keep an eye out for whatever she offered up next. I’ve not been disappointed. Together Always reads like poetry – an ode to friendship with all its joys and sorrows. 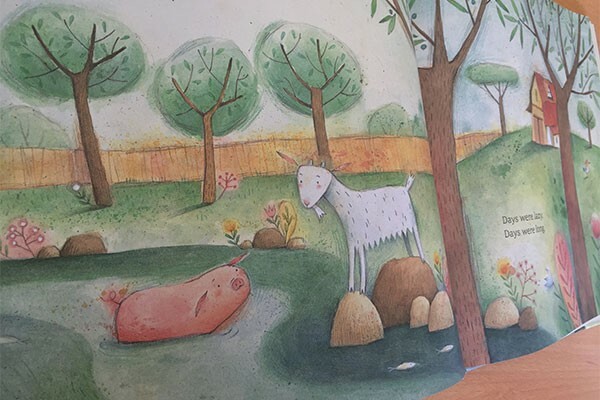 The story is about Goat and Pig who are the best of friends until one day they want to go different ways. Goat wants adventure, but Pig loves the comforts of home. Yet the two find ways to be together even when they are apart. This is a story about how good friendship goes beyond being together all the time – it can be just as strong in absence as together, and it defies differences. Such a perfect read for those times when kids struggle with their friendships, or when friends move away. Lucia Masciullo’s illustrations of pastel watercolours and pencil on a soft cream background match beautifully the wistful yet whimsical nature of the story. You can grab a copy of Together Always over at Book Depository. If you are loving Lucia’s gorgeous illustrations, check out some of her other books The Wild One and A Curry for Murray.